Red Bull Compilation Video "One Billion People Are Awesome"
To celebrate Red Bull reaching one billion views on YouTube they released this great compilation video, "One Billion People Are Awesome," and thanks their fans. 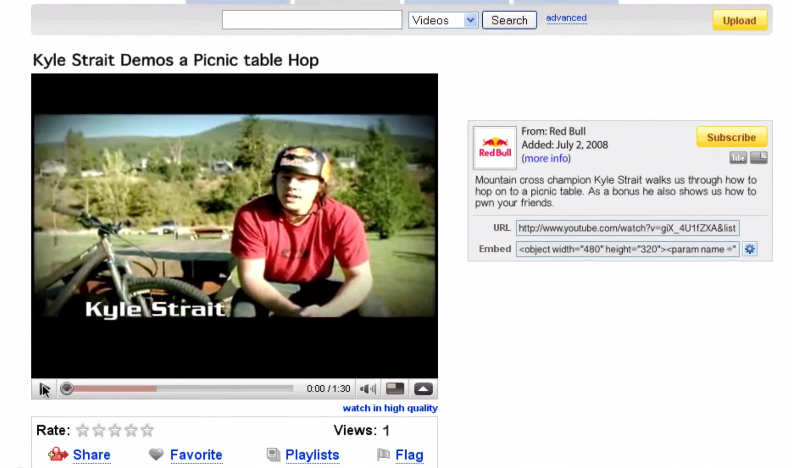 Playing out much like a Google Zeitgeist video the film starts its countdown on July 2, 2008 with its first clip, that featured pro mountain biker Kyle Strait hopping over a picnic table and then goes on to include other widely popular clips like, Felix Baumgartner's freefall from space, Danny MacAskill, and many other athletes doing incredible things. It would take you 31 years to count to one billion...we did it in 6. Thank you to all the procrastinators, the inspiration hunters, the travelers, the motivators, the trolls, the thrill seekers, and most importantly YOU. Seriously, if you are actually reading YouTube descriptions odds are you are a pretty amazing supporter. So to that, kick back and crack open a cold Red Bull. Here's to the next billion...Bieber, we're comin' for you. AdStasher: Red Bull Compilation Video "One Billion People Are Awesome"